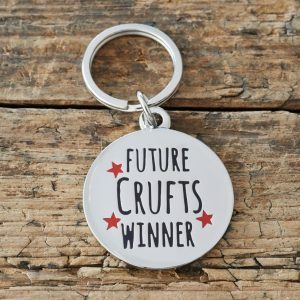 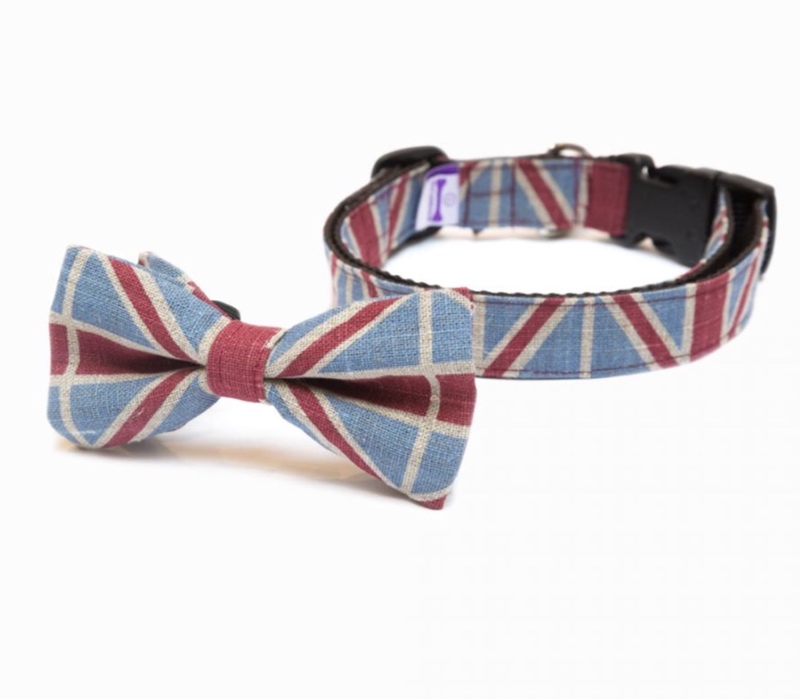 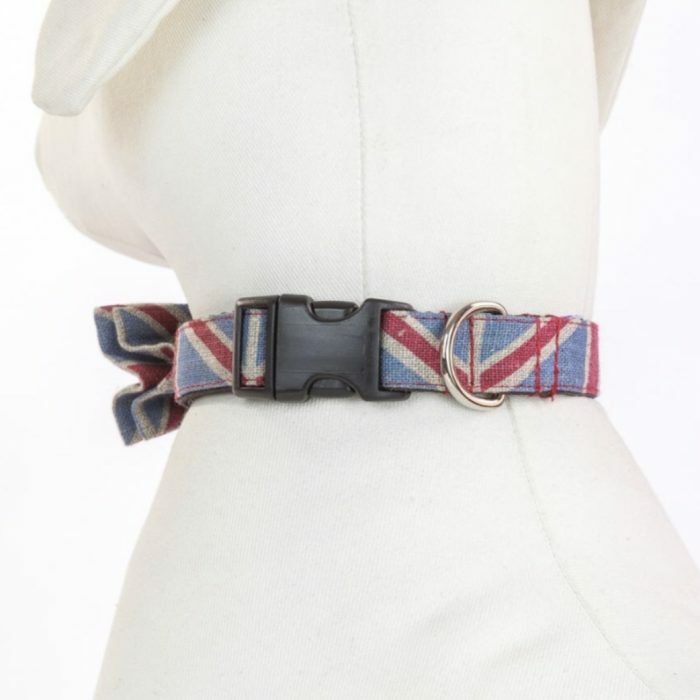 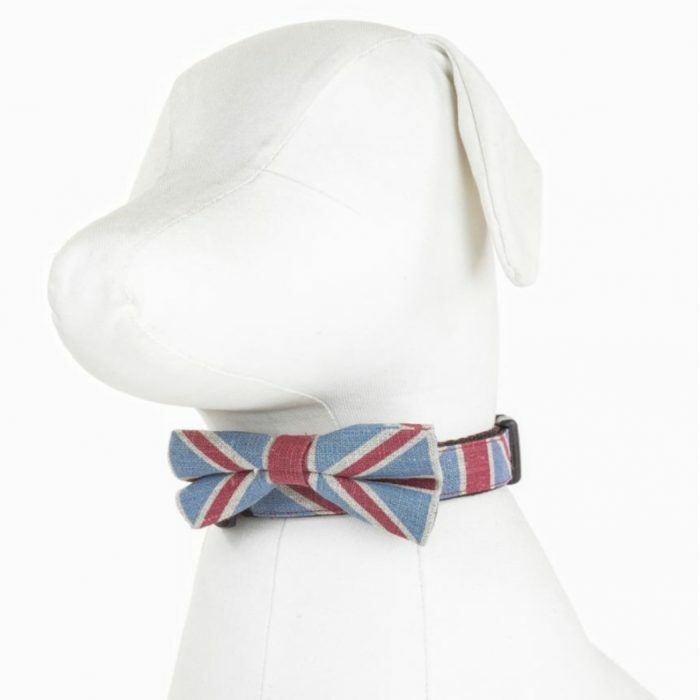 Fly the flag with this best-selling Union Jack bow-tie dog collar. 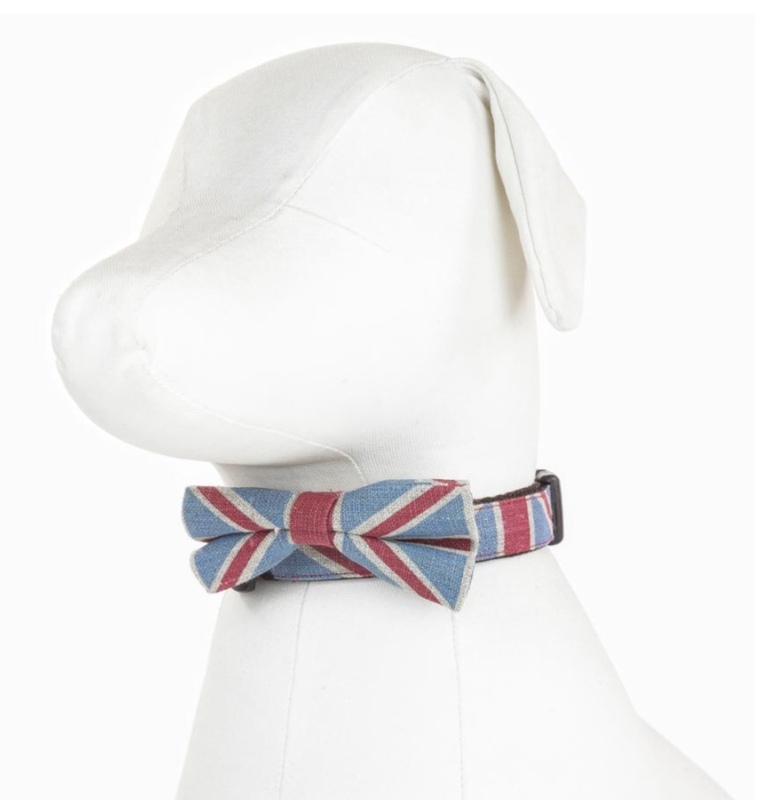 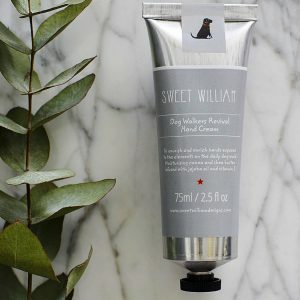 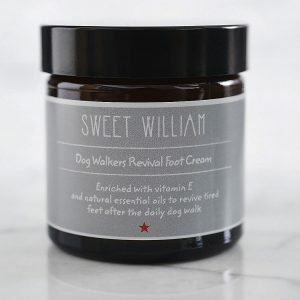 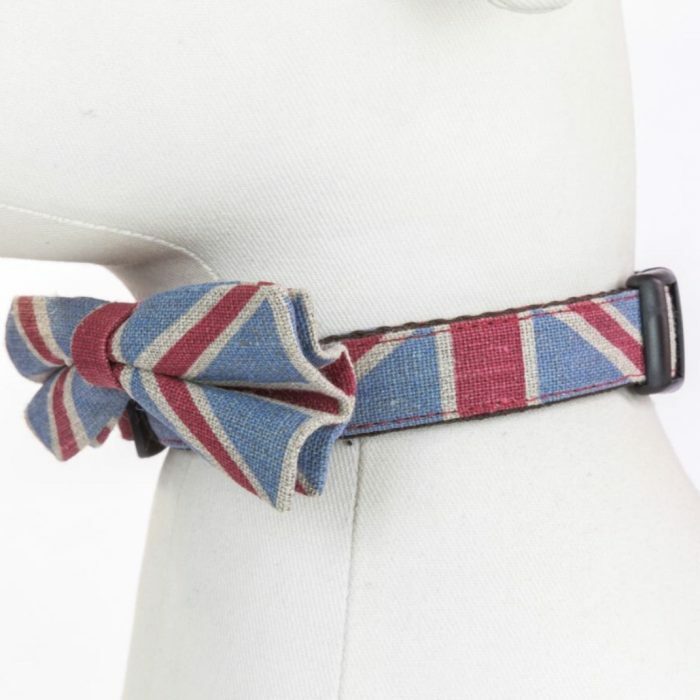 Hand-made in England, this linen dog collar features a gently faded Union Jack print. 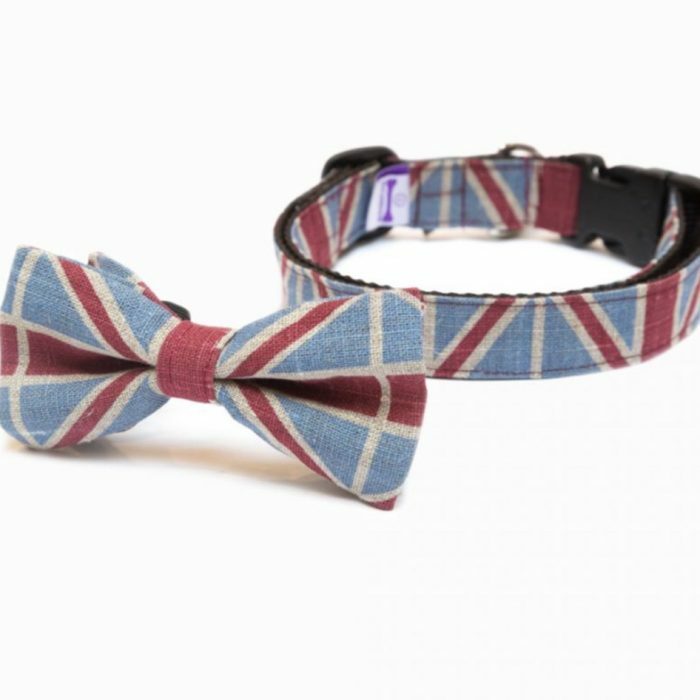 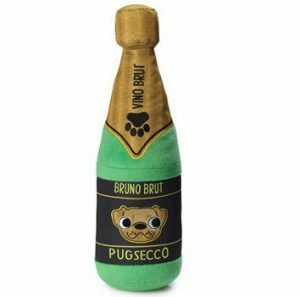 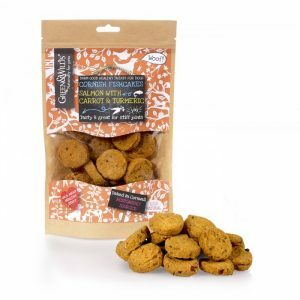 Perfect for the patriotic local, or the ideal gift from London. 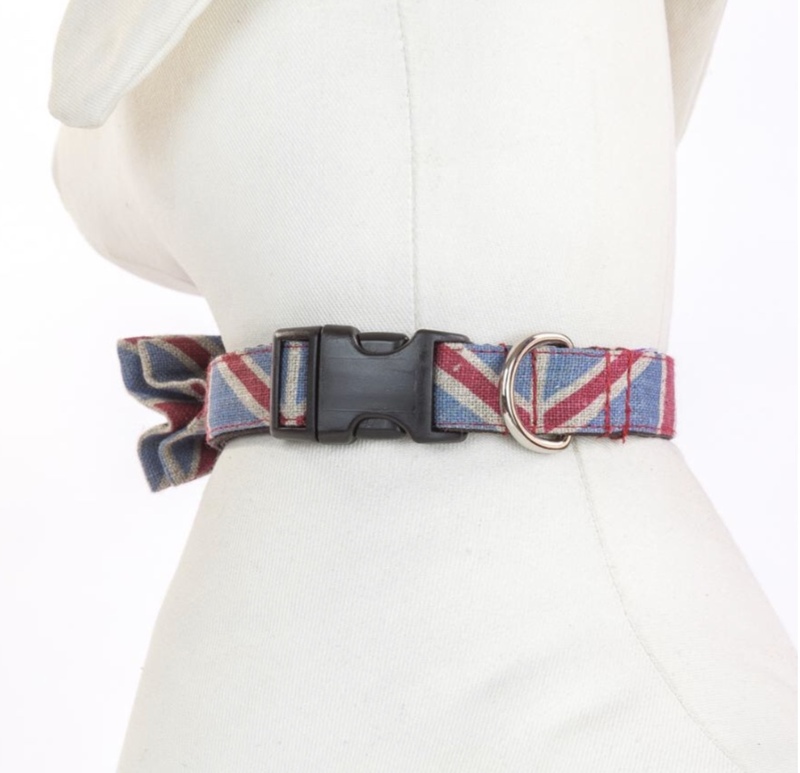 Pick up a matching Union Jack lead to complete the outfit. 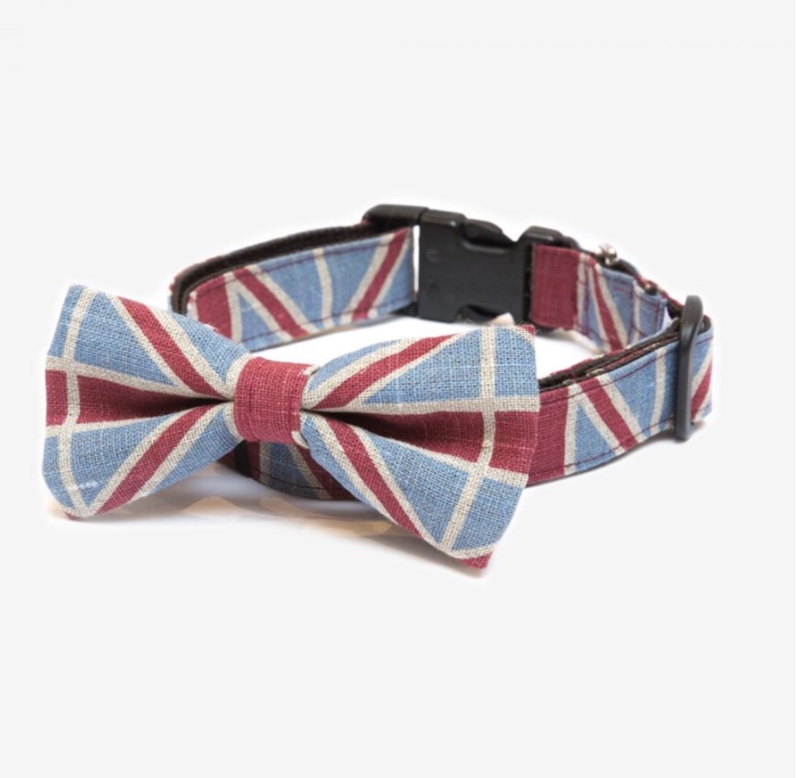 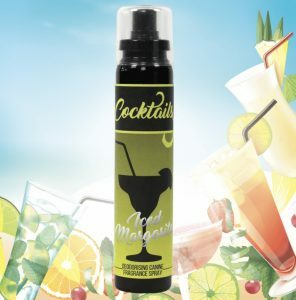 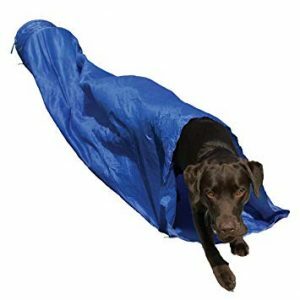 Medium, 2cm Width | 31-49cm Neck Circumference | e.g. 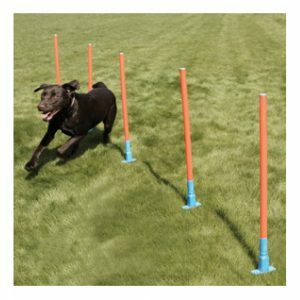 Dachshund, Mini Poodle, Welsh Corgi, Cavalier K.C.